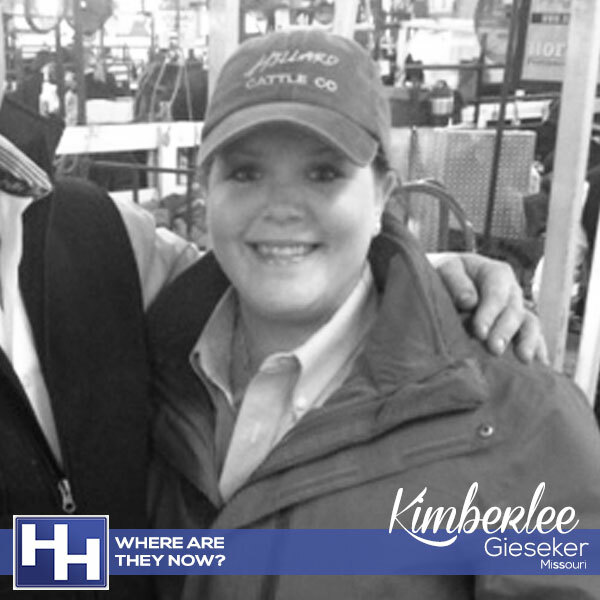 Kimberlee feels that kids involved in showing consistently develop a drive and ambition to be better in all aspects of their life, and she was no different. Her time in the show ring taught her a work ethic that has only grown stronger with age and helped push her to be better in her career and life. Most Memorable HH Moment: The NJSA show in Perry, Georgia where I showed the Champion Hampshire Gilt from Jesse and had the Reserve Gilt Overall. It was a great show and great trip and the farthest I have ever been away from home. I met a lot of very nice people there and the southern hospitality there was amazing! Everyone was so very nice.